Marketers will create the future of advertising by connecting what they know about their customers to the places where people spend their time. It’s a simple idea that’s proven difficult to execute amidst the skyrocketing growth of mobile devices and a disconnect between ad targeting and how marketers measure their customer engagement. Today, marketers try to show the right digital ads to customers primarily using web cookies, an unreliable approach with extremely low engagement, especially compared to Facebook and Twitter ads. Alternatively, marketers manually upload lists of email subscribers to Facebook or Twitter, enabling an anonymous and accurate match. This approach, however, must be more automated to scale to its potential. And many businesses wish to keep customer data confined to a trusted system, rather than manually exporting it for upload to a social ad platform. 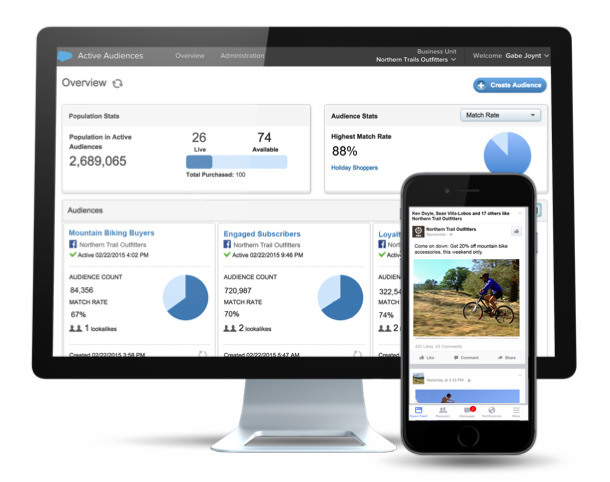 To address this need, Salesforce is excited to announce today the general availability of Active Audiences, helping marketers act on a single view of their customers with advertising. Part of the Salesforce Marketing Cloud, Active Audiences is the best way to manage, segment, and synchronize your CRM in real-time with powerful advertising across Facebook, Twitter, and the mobile app ecosystem with Facebook Audience Network. Also part of the Marketing Cloud is Social.com, the leading ad optimization platform for identity-based advertising. Marketers uses Social.com to buy and optimize ads targeting these real-time audiences, reaching them based on events and triggers, such as an online purchase, an email open, or an upcoming trip. 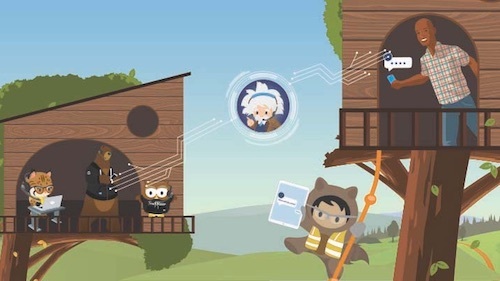 More than 75 of the top 100 global advertisers use the Salesforce Marketing Cloud, and with Active Audiences they can create and automate the management of Facebook Custom Audiences and Twitter Tailored Audiences on a self-service basis. But this is more than just reaching real people versus relying on web cookies. 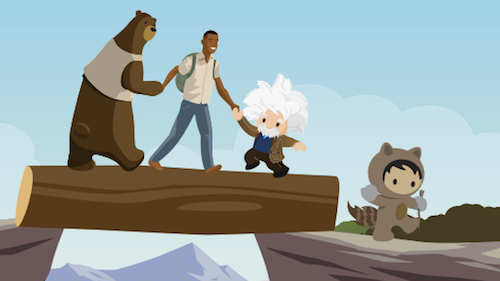 For the first time, marketers can connect their advertising to each customer’s unique customer journey, at scale, across any device. For example, a large hotel brand can use Active Audiences to support an ongoing campaign which delivers an ad to all guests who will stay at its San Francisco hotel in the next two weeks with local specials and promotions. The same brand can run a campaign to all guests who are key members of the hotel loyalty program, but have not stayed with them in the previous two months. It’s an approach that has proved effective: in a test, a major retailer found that by coordinating Facebook advertising and email, they connected with customers 22 percent more likely to purchase. By using email and advertising together, the retailer extended the reach of their email program by 77 percent. The response from our customers and partners already using Active Audiences has been excellent. 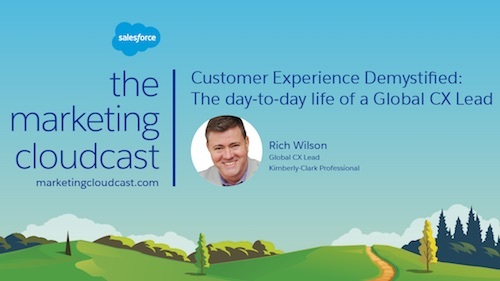 Salesforce has a history of leadership and innovation in social marketing. We are a partner to all of the major social networks, including Facebook where we are a Facebook Marketing Partner across Ad Technology, Content Marketing, Community Management, and Audience Onboarding. Additionally, Salesforce is a launch partner of Twitter’s Ads API program, Pinterest’s MarTech Developer Alpha, and LinkedIn’s Sponsored Updates program. With this launch, Salesforce believes that Active Audiences will help marketers build the future of advertising. Learn more about Active Audiences: Request a demo or read about how a leading online retailer achieved cross-channel success coordinating email and advertising.